On the road trip to their new house, 10 year old Chihiro and her parents come upon a covered tunnel that the parents wish to explore. With a hesitant and fearful Chihiro in tow, they pass through the tunnel and find an abandoned amusement park of sorts on the other side. They come across a stand with a kitchen, filled with a plethora of food, to which the parents help themselves to. 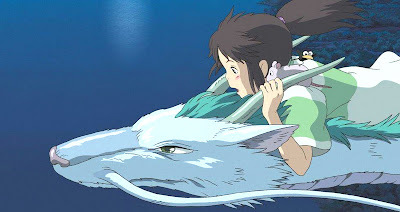 As Chihiro discovers her parents have taken the form of pigs, she flees in fear and runs into Haku who urges her to return to her land before sunset. 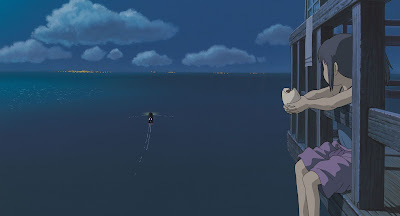 Chihiro doesn't make it in time, in turn being stuck in what turns out to be a spirit world, a resort of sorts for the supernatural where fantastical monsters reside. 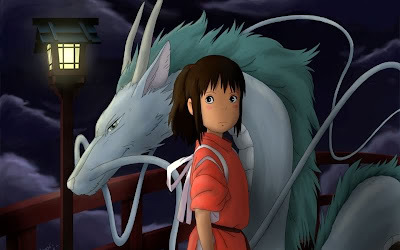 Haku becomes her mentor to the world as she tries to help her parents and make her way back home. I love coming of age stories where there is a female protagonist, they are relatively so rare. And on top of that, the character provides such a healthy narrative. She is vulnerable, smart, resourceful and brave. The story is a metaphor for entering the scariness of adulthood without losing one's identity. It also contains great commentary on environmentalism. It's on my list of movies to show my future children, along with all of the enchanting Hayao Miyazaki films. I chose to pair this movie with Dragon Rolls in honor of Chihiro's dragon friend. My favorite restaurant is in L.A., it's called Shojin, it's an all vegan microbiotic Japanese restaurant. When we lived in L.A., it was our place for celebratory occasions, they have the best sushi! Their dragon roll contained shitake and avocado in the center, with avocado and thinly sliced bbq seitan on the outside, served with unagi sauce. There are different ways to make dragon rolls, but I am assuming since they are sushi goddesses at Shojin, their way is the best way. I nixed the seitan, although I recommend it with. On a low flame, heat all ingredients together until liquid is reduced by half, stirring frequently. For the marinade, I just took some unagi sauce before it reduced, mixed it with shitake in a small bowl and let sit, refrigerated for 30 minutes. Thinly sliced cucumbers, sliced longways. There is a lot of mushiness, the cucumber will create a crunchy balance. Carrots are a good addition to the cucumber as well. Next time I will add the sliced bbq seitan, I think it makes a really nice addition. The avocado on the outside can be tricky, I just sliced the avo super thin, cut them to adjust the width, then draped them over. * Mirin is a rice cooking wine, you can find it in most well stocked supermarkets or an Asian market. Your dragon roll's seriously amazing! One of my favourites too! Favorite movie, favorite shroom...so much goodness! 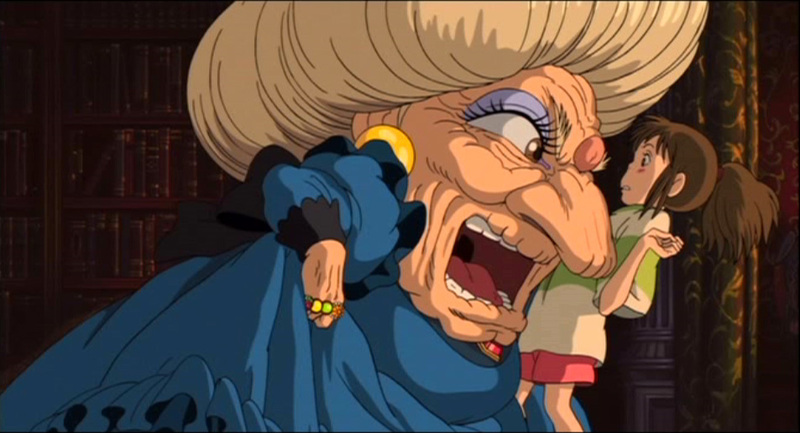 Miyazaki films are always such a wonderful experience. 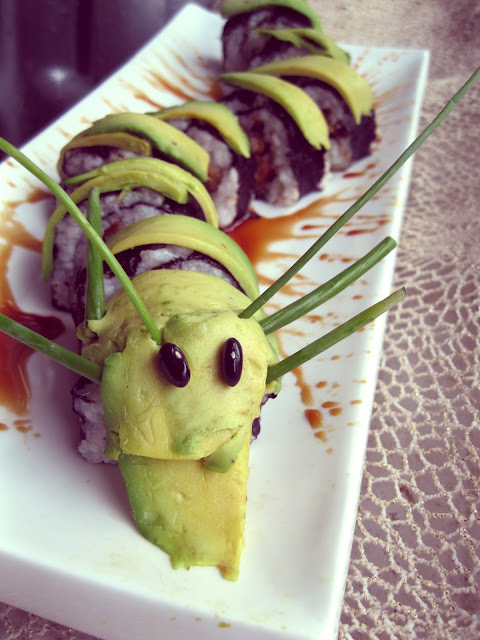 I think your dragon roll captures that fun fantasy feel well! He really does make the most magical films. 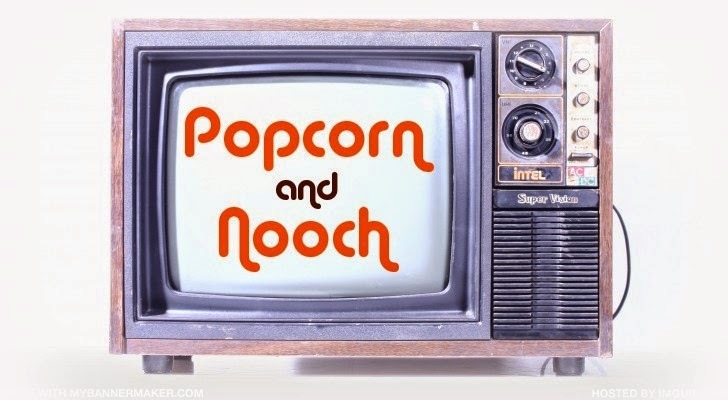 1) Such a good movie. 2) Such a good dragon roll. Maybe this is morbid, but I love the splashed soy blood. It's just so clever, and reminds me of the beautiful animation in that scene.